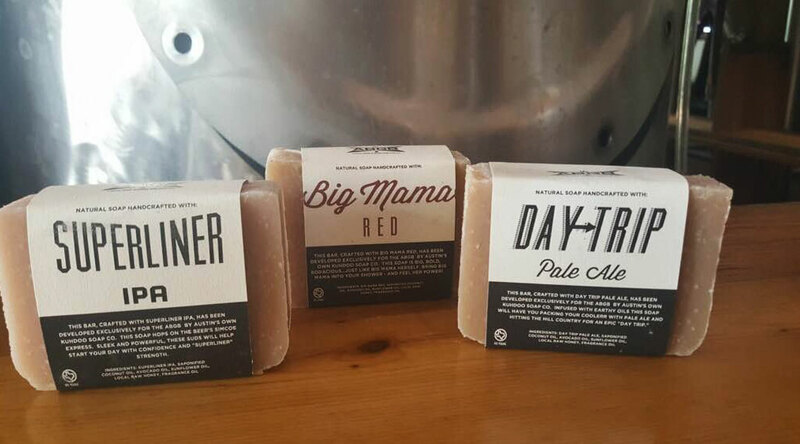 Kuhdoo Customs - Kuhdoo Soap Co.
We’ve had a blast partnering with a variety of local Austin businesses to create custom Kuhdoo products. We’ve developed custom crafted products for the Hotel VanZandt, the Austin Convention and Visitors Bureau and Independence Brewing Company just to name a few! Custom products aren’t limited to soap. Custom bath salts, body butters, and recycled bottle candles are all available. Pricing depends on ingredients chosen and services rendered. Small test batches are available for the purpose of testing the color, scent, and texture only. If you’re looking for a one of a kind custom product, look no further! Please give us a call, 512-865-1113, to discuss your vision. We look forward to working with you!